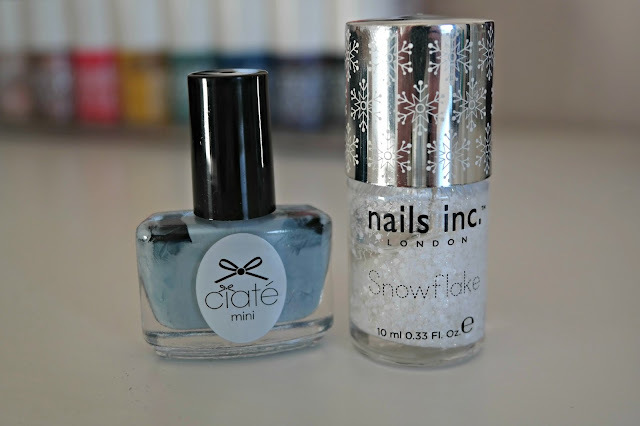 Inspired by the snow that seems to have taken over much of the UK I dug out Kensington Church Street by Nails Inc (which is better known as Snowflake). 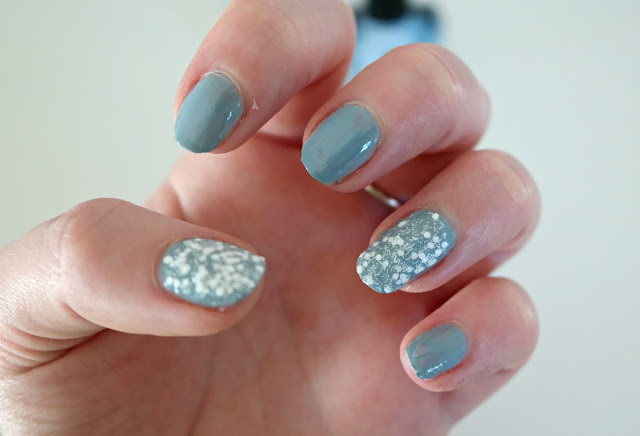 Paired with Ciate's Chinchilla I had the perfect wintery looking nails. 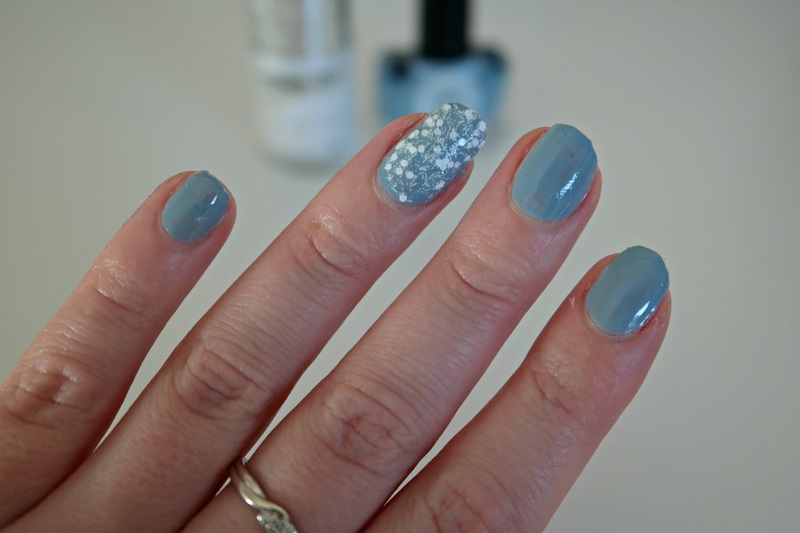 The icy blue-grey seems to describe my weather better than the glittery sequins on my accent nail. Even though I'm in the very North of Scotland I'm feeling envious of all the snow that's appearing across Instagram and Twitter. It just looks like an ice rink outside my window, barely any snow in sight. If you want to get your hands on Nails Inc's Kensington Church Street you'll have to be quick. The limited edition nail polish from last Christmas is back but it won't be around long. In fact you might even manage to get it on sale. Have you got lots of the white stuff? Enough to build an Olaf?